Following on from last week’s news that Amazon would expand its Pantry household items delivery service to the UK while also discounting new Prime memberships in the country, the e-commerce giant is now quietly adding another service to the UK to build holiday shopping momentum: Launchpad — a portal to market, sell and deliver gadgets and other products made by startups — is now live in the UK, opening its platform to local startups to list and sell their products. Launchpad originally launched in the U.S. in July of this year partnering with the likes of Y Combinator, VCs like Andreessen Horowitz and Kickstarter to connect with early-stage startups. To that list it’s now also adding more local portals like Crowdcube and Crowdfunder.co.uk. Its purpose is to get startups from Europe to list and sell their items, with the promise of giving them more visibility and solving some of the pain points of distribution, essentially providing an all-in-one Product Hunt, Shopify and Shyp experience. The UK launch is not exactly a surprise: the FT earlier today reported that Amazon would extend the portal to UK startups sometime this week. Now the portal has quietly gone live. For now, products are being added by invitation only, the company notes. Among the first wave of items that Amazon is selling are Cyanogen phones from Wileyfox (which we covered here when they were first announced); the iKettle from Smarter.am., and Radfan (a very UK product: it is a fan that you attach to your radiator) as well as items from non-tech categories, like this artisanal gin from Devon. The FT reports that Kano — the children’s coding and computer kit startup — will also be on Launchpad although I have yet to see a listing for it. Similarly, the portal for startups lists several other startups that will be involved. Alongside this, there are also products from the U.S. such as smartwatches from Pebble and the Ring smart doorbell. As with the U.S. Launchpad, the idea is to present the products in a richer way than Amazon’s basic sales pages. Above is an example of how it bleeds the main product image for Wileyfox, although there may need to be more done here by Amazon. As you can see, it sits somewhat awkwardly with Amazon’s classic buy box in the upper-right hand corner. “We’ll help you create story-telling opportunities for you to talk about your products using larger images, videos and custom product detail pages, and merchandise them across Amazon and on our programme storefront to ensure they are discoverable to our customers,” Amazon notes. 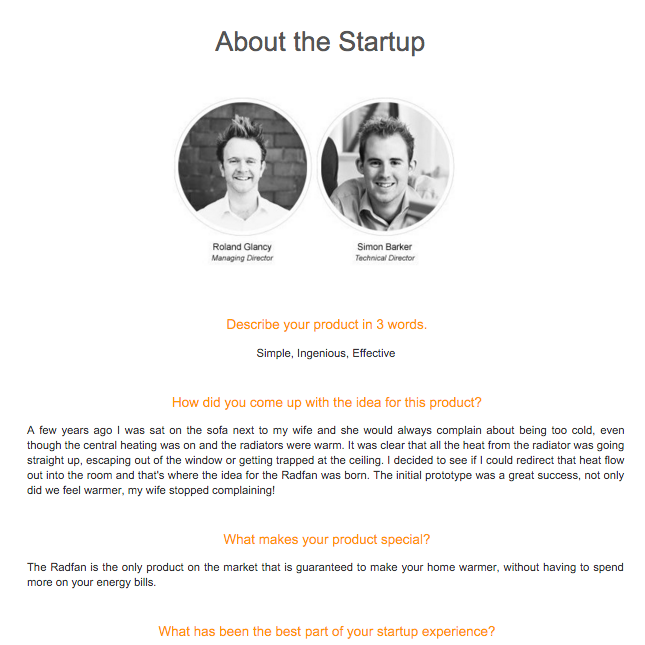 They also serve as a kind of mini portal about the startups themselves, with short interviews with the founders and other details. Amazon is known for taking its time to build new services in the U.S. before expanding them abroad — it took four years to sell Kindle e-readers outside its home market. But with the growing popularity of products from startups, Amazon has perhaps taken stock of where it might find itself outclassed by faster-moving companies like Shopify or Shyp, and it has taken a different approach. From its start in July, Amazon lured smaller hardware makers to Launchpad with the promise of international distribution across 10 international portals. Opening the platform to non-U.S. startups is the complement to that. And in a way, Launchpad fills a hole. Startups have long lamented about the difficulties of scaling a business out of Europe: it’s one reason why many decide to migrate to Silicon Valley to seek more funding and connections. Programs like this offers them one way to quickly meet demand on their own (and Amazon’s steam) as a product picks up speed. Indeed, this is what Amazon seems to be playing on itself.